He was the player. The most popular guy in highschool. In other words, the stereotypical heartbreaker that every girl died for. She was one of the nerds. The outcast teased and shunned by the popular kids in school. In other words, him and his crew. He always wanted her, she just never knew it . . . In order to maintain his popularity, he buried those feelings deep, deep down in the pit of his miserable little soul. That is, until one night he lost control. Unfortunately, they weren’t the only ones that knew it. What his friends ended up doing with the knowledge would scar her for the next seven years of her life. And leave him wrecked, dealing with years of agony because he’d lost her. Highschool graduation came and went, and they never saw each other again. Now, seven years later, Andrew’s stepped in and taken his father’s place as CEO of his family’s company, Drevlow Systems, Inc. Along with the new position comes a host of perks . . . and a brand new systems genius working as the head of his company’s IT department. An IT genius that just happens to be the one woman he never forgot. She hasn’t forgotten him or his reputation either and she wants nothing to do with him. 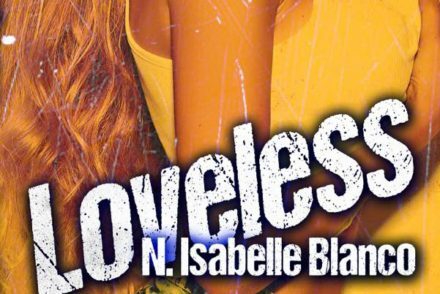 He’s determined to have her—she’s determined to see him burn in hell before that happens. What ensues takes the term War of the Sexes to a whole new level. 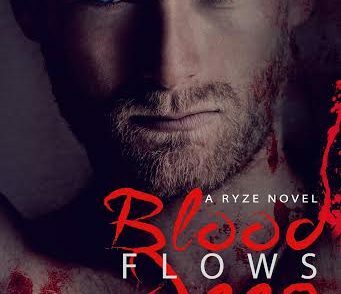 Andrew is forced to face his past in a way he’d never expected. That’s how long he waited to find Lexi again. Seven years worth of memories. Fantasies that tormented his life, making it impossible for him to move on. Seven years worth of guilt for what he’d inadvertently allowed to happen. He had it all planned out, every step of the epic-groveling he knew he’d have to do. His plan was absolutely perfect. Then he walked into his company’s IT department and seen the same big, blue-gray eyes that had haunted him for years . . .
Glaring at him from behind familiar, black-framed glasses. And Andrew knew, right then, without a doubt . . .
That his plan wasn’t worth sh*t.
Disclaimer: The Siege Serial is a series of short stories, each roughly 10,000-15,000 words long, with an estimated final total of nine episodes for the entire series. 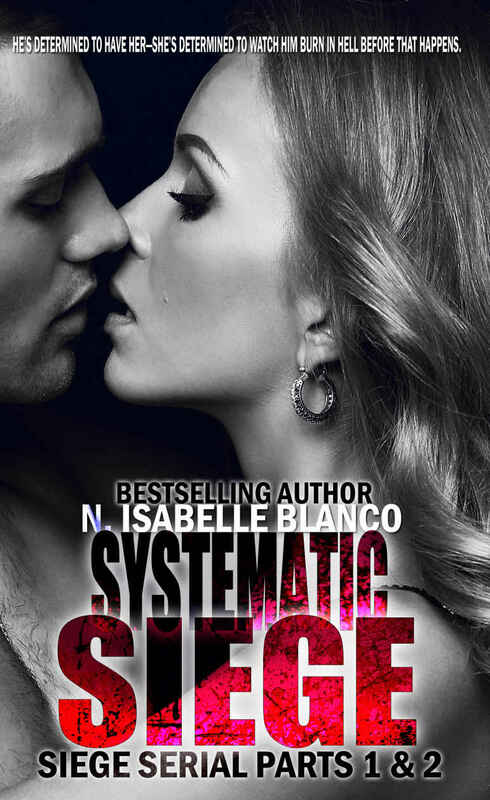 N. Isabelle Blanco is the best selling author of the Allure Series, the Systematic Siege Serials, the Need Series with K.I. Lynn, and many more. At the age of three, due to an odd fascination with studying her mother’s handwriting, she began to read and write. By the time she’d reached kindergarten, she had an extensive vocabulary and her obsession with words began to bleed into every aspect of her life. 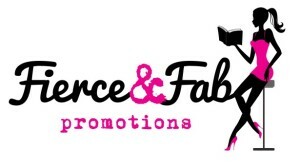 JOIN N. ISABELLE’S FACEBOOK AUTHOR GROUP FOR EXCLUSIVE TEASERS & MUCH MORE! 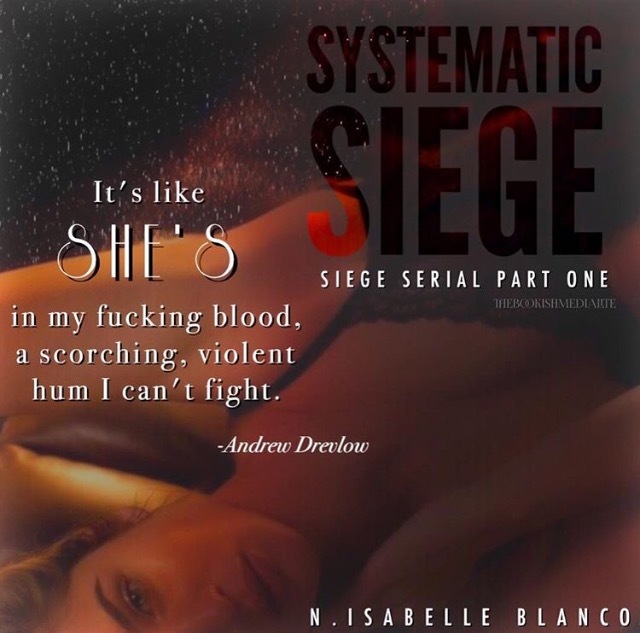 N. Isabelle’s doing a #GIVEAWAY 10 e-book copies of Systematic Siege, click on the link below and enter for your chance to win!